When it comes to choosing an oil and gas reservoir evaluation company of trust and good reputation, it pays to do your homework. The worldwide activity of all manner of oil and gas reservoir evaluation companies across the world must be paid very close attention to, in order to ascertain whether or not said oil and gas reservoir evaluation firm is going to be the best fit for your oil and gas company. Take ERC Equipoise, for instance. 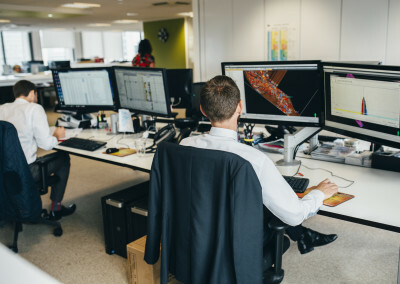 This UK based oil and gas reservoir evaluation company is known for successful handling of the UK Government’s directive to produce independent Geophysical and Engineering reports for the privatisation of the British energy sector. ERC Equipoise, as a result, became familiar with every single oil and gas field within the United Kingdom and all associated territories and built their way upward to become the UK’s leading employee owned oil and gas reservoir evaluation firm. From that base, they have spread worldwide and become an integral part of multiple continents and multiple world territories’ oil and gas dynamics. Within the Americas, ERC Equipoise have undertaken several projects throughout the continents. From the Canadian Grand Banks to Mexico, Bolivia, and even the Caribbean Islands, ERC have worked on acquisition studies, prospect identification and expert submissions to governments and major oil companies alike. In Europe, ERC Equipoise have a glowing auditor history, having worked within the majority of the petroleum basins within the Eurozone. ERC Equipoise have also been called upon by a number of oil and gas reservoir evaluation companies which seek their technical support, often deferring to ERC’s judgement. ERC have been instrumental in a number of projects which are classed within the oil and gas industry as rather unusual, such as the polish tight gas (gas which is trapped in impermeable rocks which are often as deep as 6,000m – requiring techniques which involve hydraulic fracturing to extract) as well as fractured volcanic reservoirs in Croatia and of course, Arctic oil and gas exploration. When you’re looking for an oil and gas reservoir evaluation company, keep ERC in mind. Their portfolio is truly impressive, covering the UK, the Americas, Europe, North, West and East Africa, South East Asia and Australasia. Their wealth of experience on a global scale will ensure that matters such as different laws and taxation guidelines as well as different requirements throughout the world will be handled swiftly and effectively.